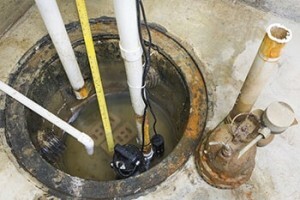 Do you need a sump pump to combat basement flooding? We’ve been getting a lot of rain lately, and your basement has probably flooded once or twice. A flooded basement can cost hundreds or thousands of dollars in damages to your home. It can spread mold and ruin an otherwise lovely week. So what can you do about it? Well, that’s what we are going to be talking about today. Are you ready to learn more about basement flooding and you? Well, then let’s get started! Basement flooding is bad for your home. A flooded basement an quickly become the home of dangerous mold. Flooding can also cause major damage to your fixtures, anything store in basement, and the structure of the home itself. All of these things are very bad and range in repair costs. However, if you don’t want to pay for repairs, you need to prepare. Preparation is a wise investment to keep your wallet looking it’s best. Waterproofing your basement is a good way to keep water at bay, but there is more that you can so. In the event that you have some flooding in your basement, you will need to get the water out. To do this, you will need a sump pump if you do not already have one installed. A sump pump will help carry the water away from your home to a safe location. If you do have a sump pump installed, then make sure that it is in working order before the next rainfall. We can help if you need it serviced. A professional should definitely take a look at it seasonally to ensure it is safely operating. If the basement is flooded and you are concerned about mold or electrical damages, then give us a call. You should also ventilate your basement thoroughly to help dry it out and defeat dangerous mold spores. This entry was posted on Friday, May 27th, 2016 at 7:16 pm. Both comments and pings are currently closed.